Here are two high-resolution renderings of the proposed new ballpark for the A's at Howard Terminal on Oakland's waterfront, courtesy of MANICA Architecture. 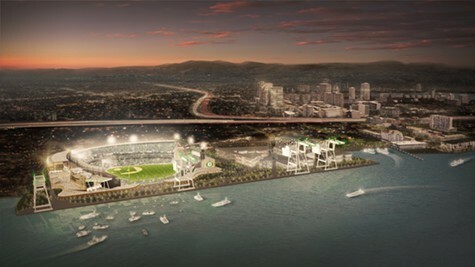 The first rendering is from a southern vantage point, showing the stadium on Port of Oakland property in the foreground, along the Oakland Estuary, with downtown in the background. 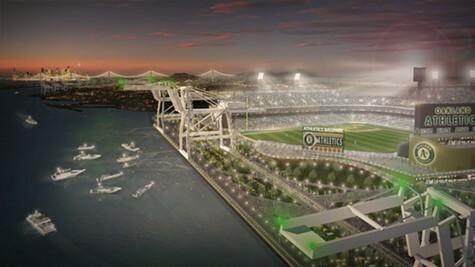 And the second rendering is from a eastern vantage point, with the stadium in the foreground and the Bay Bridge and San Francisco in the background.